Kalla kyl' Solidor has become the Mother of Wolves. 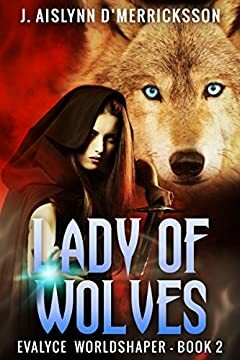 She has claimed two of Amaraaq's three aspects, but taking a Consort has woken the Lady, and their stay in Arkaddia will result in unexpected shifts within Kalla's tiny, yet growing pack. She will learn more of who she is, and of the role she is to play in the future. From Arkaddia, the group travels deep into Dashmar to challenge another of Al'dhumarna's pawns, and Kalla treads further along the path to claiming her last aspect - The Empress. An estranged family reunites, but not without considerable strife. World-shaping changes await the land of Evalyce, the entire world of De Sikkari, and Kalla kyl' Solidor - the Mother of Wolves.